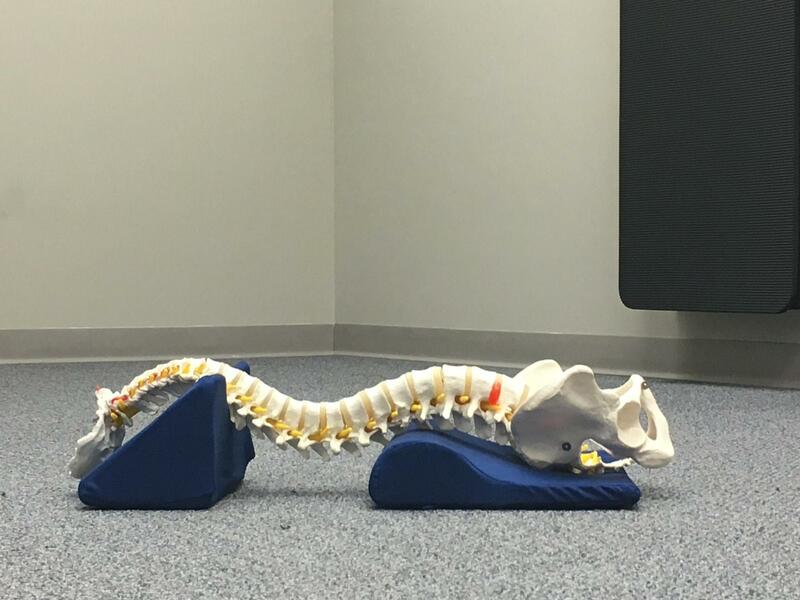 Pettibon Spinal Molding is performed daily to reshape and remodel the discs and ligaments of the spine to allow the restoration of proper spinal curves and alignment. Spinal Molding is the first step. 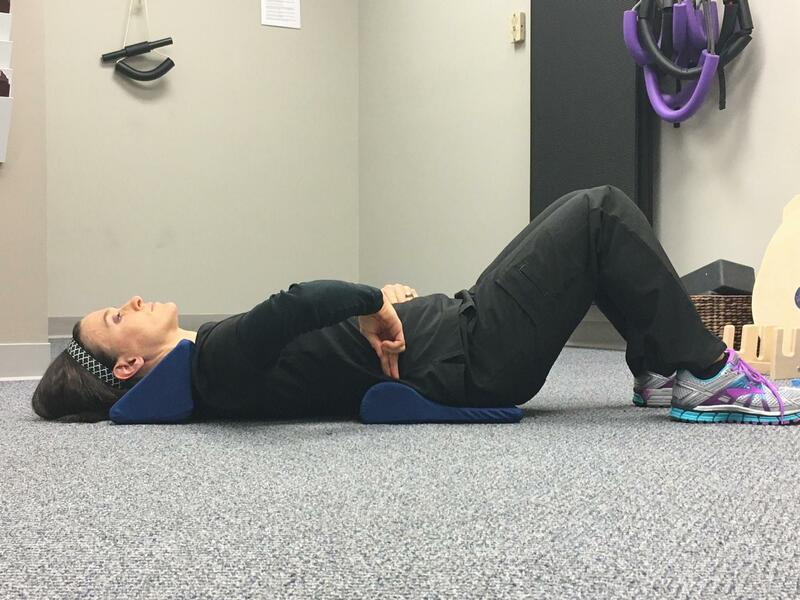 The second step is strengthening with Fulcra Exercises. The neck and beginning low back fulcra are placed as pictured below. The neck fulcrum should be snug against your shoulders. The bump of the beginning low back fulcrum should be placed under the UPPER lumbar bones. Place one finger on your belly button. Place two fingers above the belly button finger. Slide the two fingers across abdomen to the last rib-this is where the center of the bump should be placed. The neck and mini low back fulcra are placed as pictured below. The neck fulcrum should be snug against your shoulders. The apex of the mini low back fulcrum should be placed under the UPPER lumbar bones. Place one finger on your belly button. Place two fingers above the belly button finger. Slide the two fingers across abdomen to the last rib-this is where the center of the bump should be placed. The neck and advanced low back fulcra are placed as pictured below. The neck fulcrum should be snug against your shoulders. 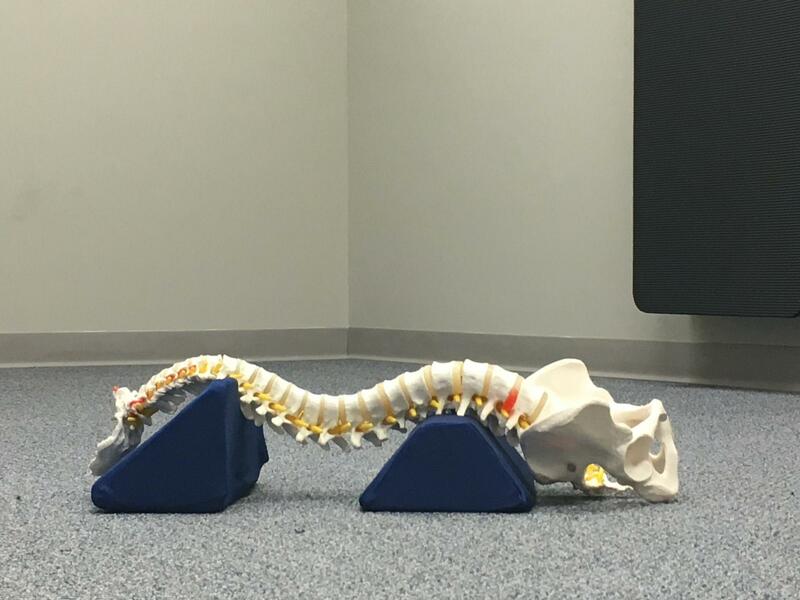 The apex of the advanced low back fulcrum should be placed under the UPPER lumbar bones. Place one finger on your belly button. Place two fingers above the belly button finger. Slide the two fingers across abdomen to the last rib-this is where the center of the bump should be placed.